It''s done! The 34th round of Golden Joystick Awards have been awarded to their rightful victors, largely through the voting power of the gaming public. 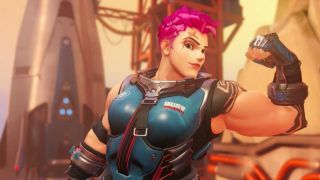 Dark Souls 3 took home Ultimate Game of the Year but Overwatch got a nice consolation prize as the winner of five separate categories, more than any other game in the running. Remember, several games that came out late or are yet to come out in 2016 will be eligible for 2017 instead. See you next year, Final Fantasy 15?